The Friden square root automate is one of the most sophisticated calcu- lating machines which were ever built in series. In addition to the four basic arithmetic operations it is capable to calculate automaticly the square root. Its early state of development -in the 1950's- can be seen by the little multiplication keyboard at the left side of the main keyboard. One of the hardest problems with mechanical calculating machines -it was finally solved in the early 1960's- was the input of the first factor for a multiplication in an own register. 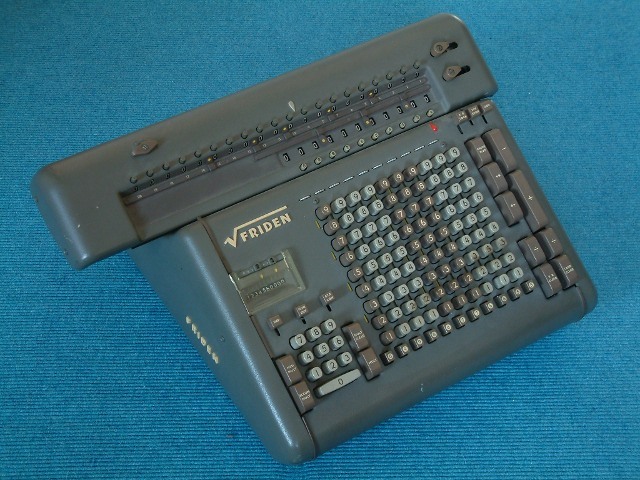 Before the first factor had to be entered in a special way: for example at the Friden SRW in the little keyboard left, at the Anita in the multiplication keyboard right of the main keyboard. With the SRW's special square root algorithm the result appears in the MQ-register as well as unvisible in the keyboard.